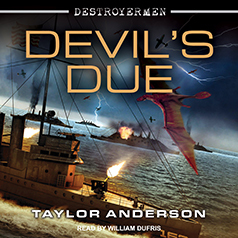 Devil's Due is the latest book in Taylor Anderson's New York Times bestselling series about a World War II destroyer mysteriously transported to another world. Taylor Anderson continues his powerful New York Times bestselling series of alternate history and military strategy, as the conflict is about to become terrifyingly personal . . .